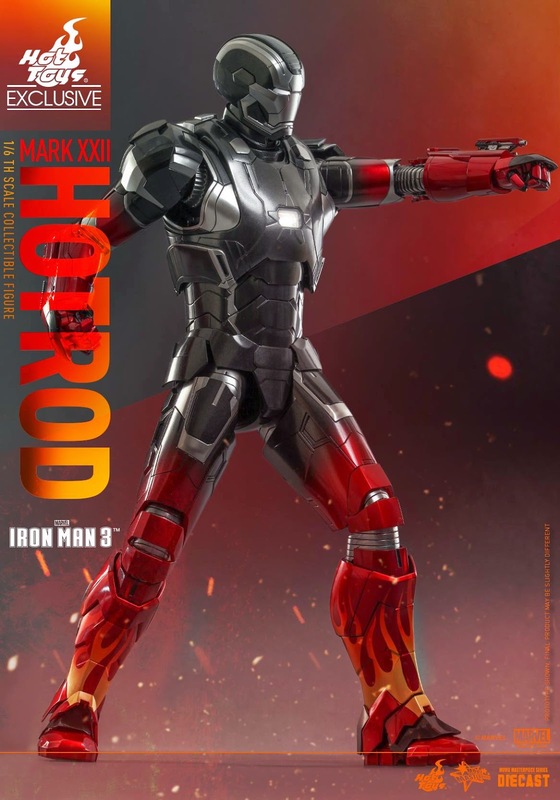 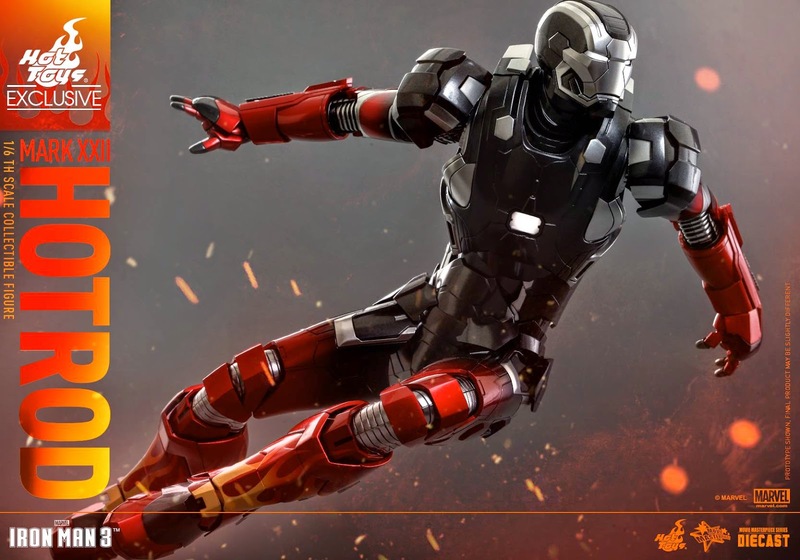 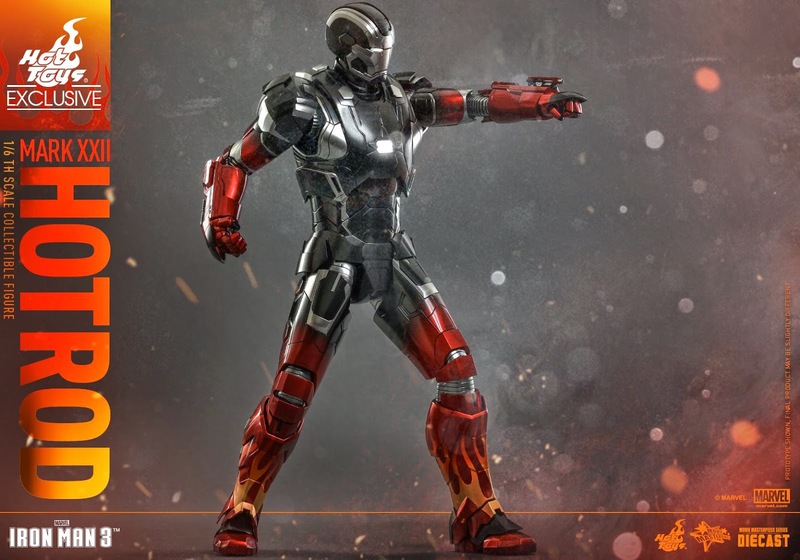 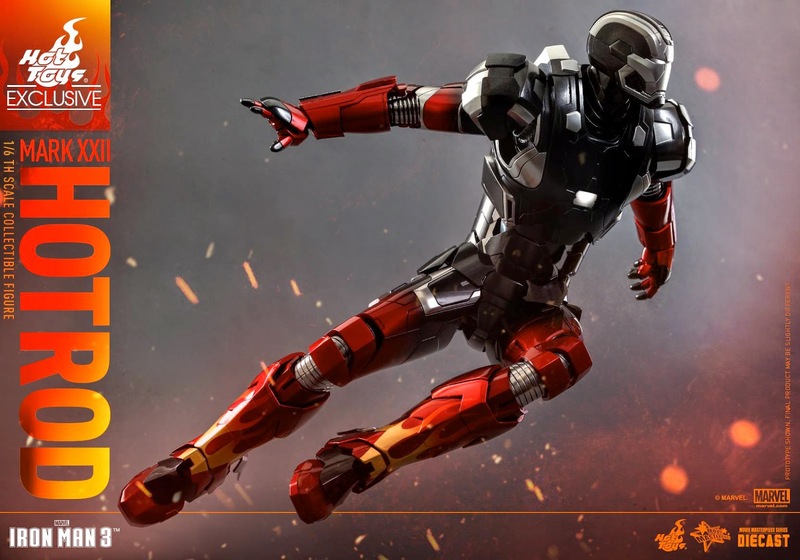 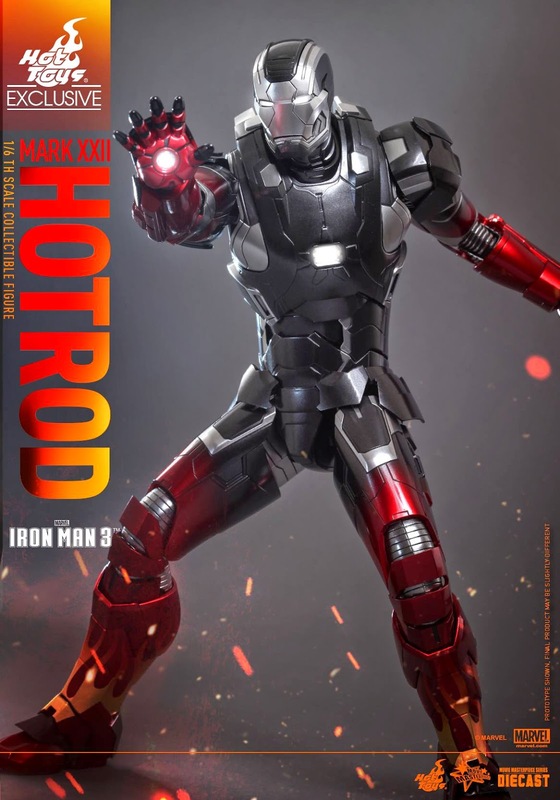 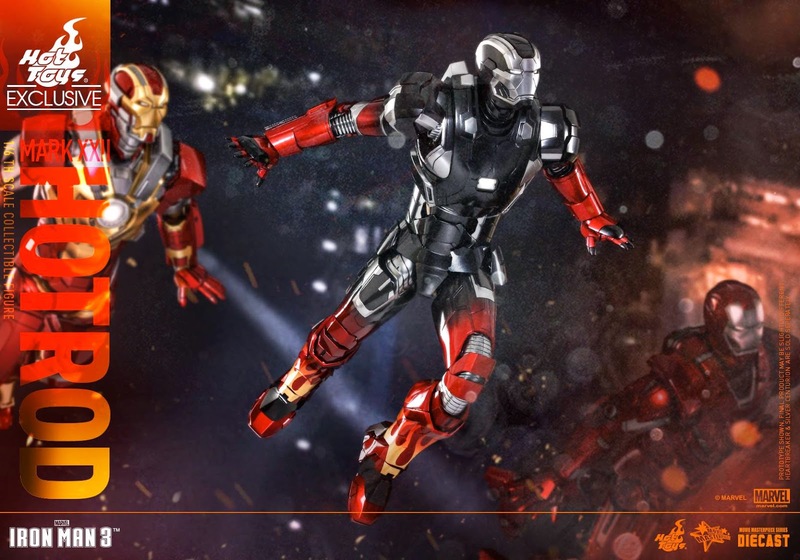 UPDATE 12/8/2014 - Iron Man is up for pre-order at Sideshow right now! 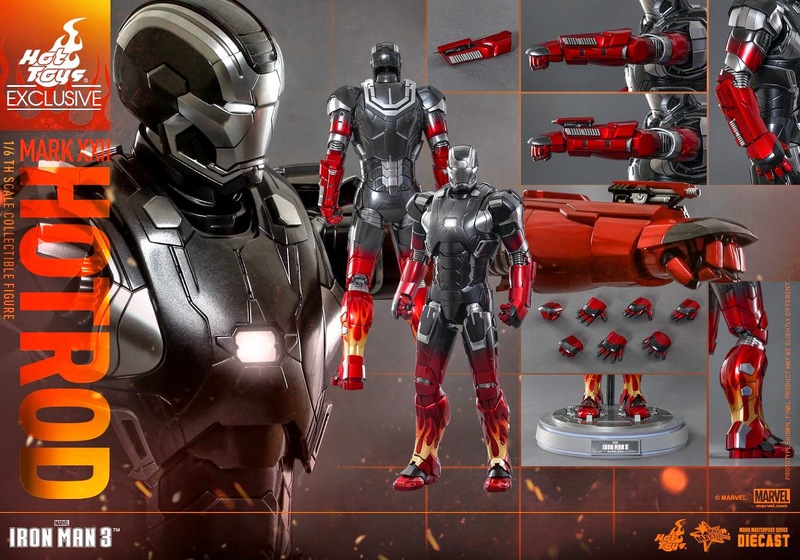 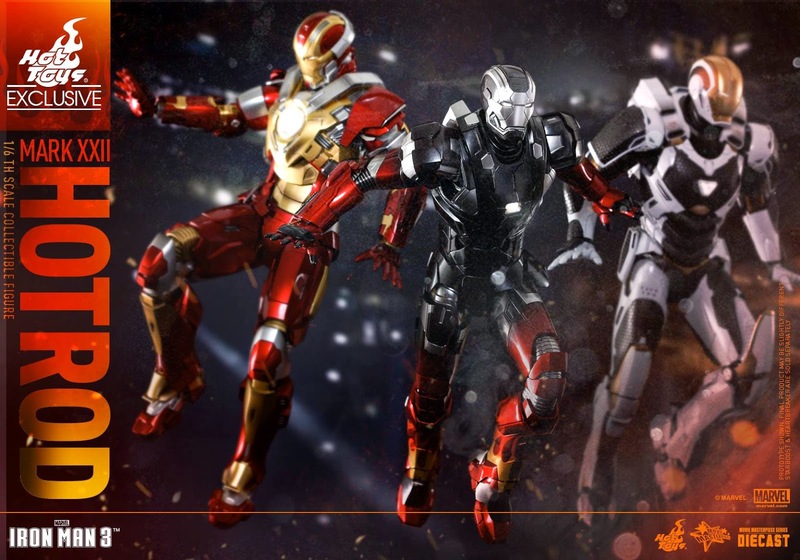 Okay, granted, no company does Iron Man like Hot Toys, but you gotta be one hell of a hard-core Iron Man collector to be buying all of these crazy, secondary Iron Man figures at this point. 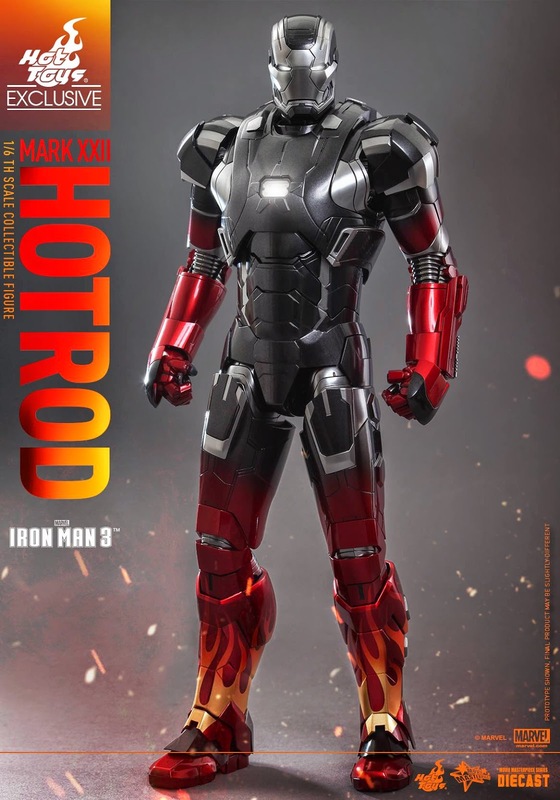 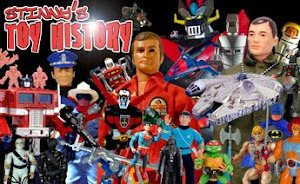 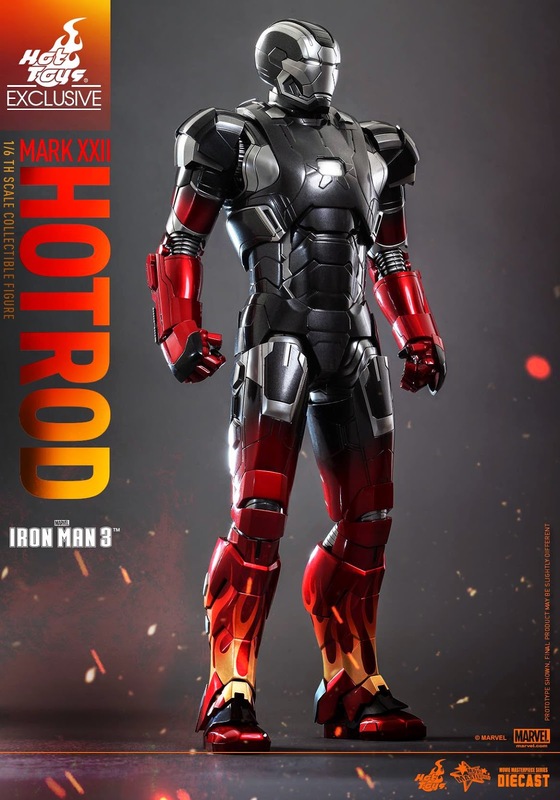 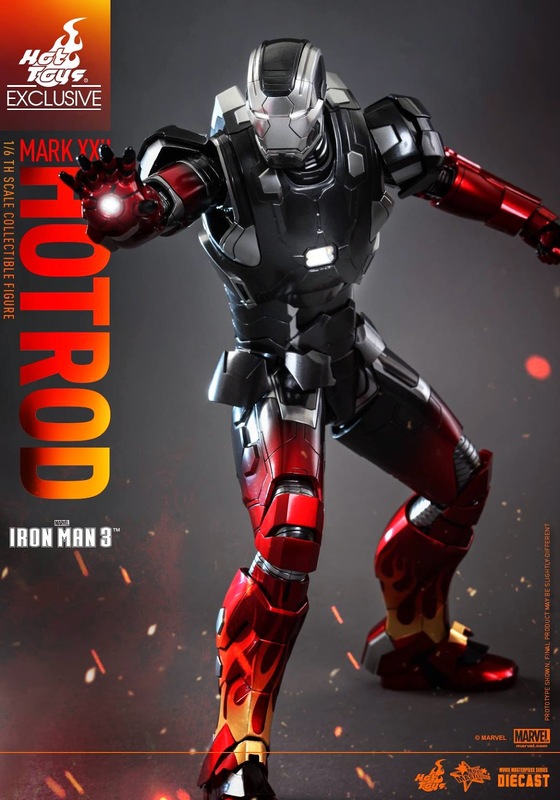 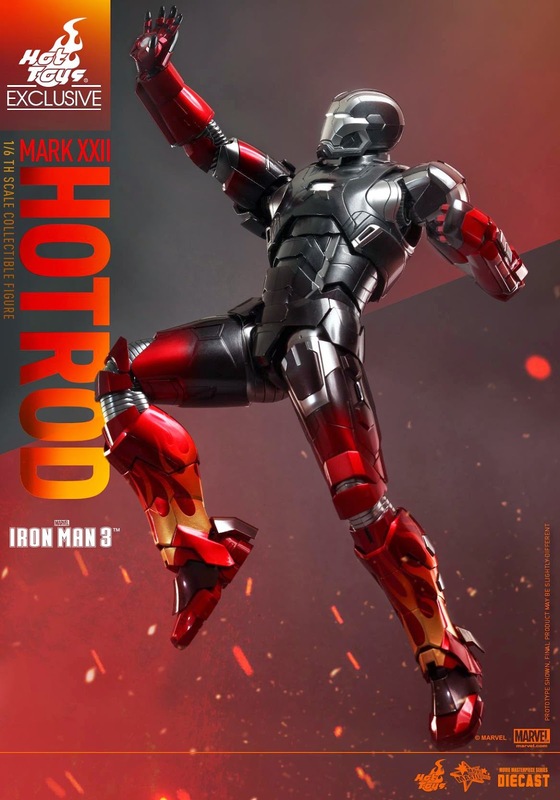 This one-- titled "Hot Rod", as you can see from the design on his arms and legs-- will be a show exclusive. 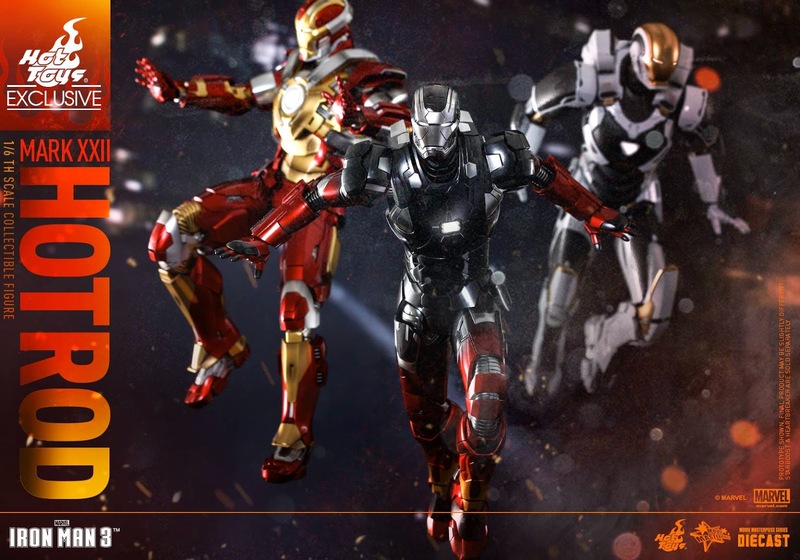 Of course, like other Hot Toys exclusive figures, you can expect that Sideshow will be getting a limited quantity for sale. 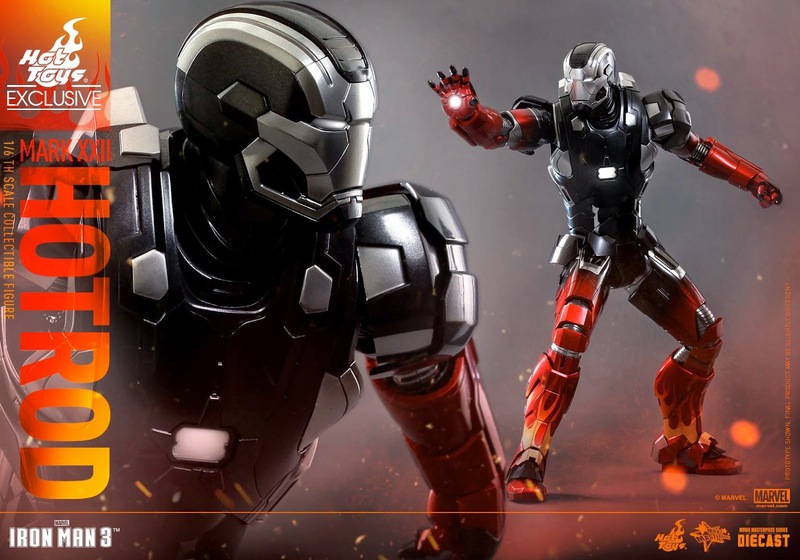 Expect detail to be forthcoming.